Plusnet Mobile reward cards: are they worth taking a 12-month deal for? 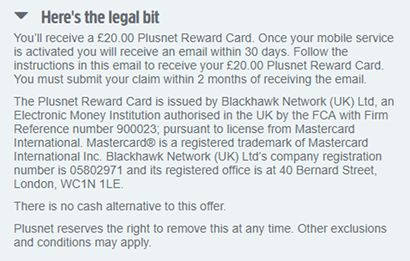 Get a £45 Plusnet reward card with their 5GB 12-month contract this month. SIM Sherpa is your trusty guide. Last updated: April 22nd 2019. 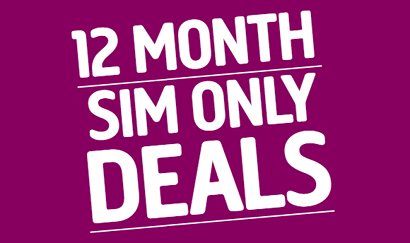 Plusnet Mobile have only recently started offering 12-month SIM only contracts on top of their 1-month deals. To incentivise you to commit to a longer term, they sometimes offer a pre-paid reward card with select plans. The reward card is a pre-paid Mastercard card loaded with a set amount of money on it. You can use it anywhere Mastercard's accepted on the high street and online. It works until you spend all the money on it. It's worth noting that there is a claims process to get yours delivered (see further down page for more details). We update this page whenever the offers change. Is it worth committing to a 12-month contract to get it? For the same £9 a month, if you're willing to commit for a year, you can get an extra 500MB of data. Though the 5GB plan has a higher monthly cost of £11.50 per month, after redeeming your £45 reward card your total cost for the year will be £15 less. So we’d say, if you don’t need the flexibility of a 1-month contract, you might as well get the extra data and save money. 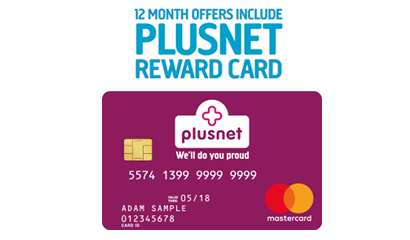 Once you've ordered your qualifying Plusnet Mobile SIM only plan and got it up and running, you'll receive an email 30 days later with a link to claim your reward card. Follow the instructions and your reward card will be dispatched within 30 to 45 days. So it's not an instant process but you will get your pre-paid Mastercard. Just remember to keep a lookout for the email and complete the claim form as soon as you can to avoid issues. If you read our full Plusnet Mobile review here, you'll see that we rate them pretty highly as a cheap no-frills network. There's more to them than getting cashback rewards. 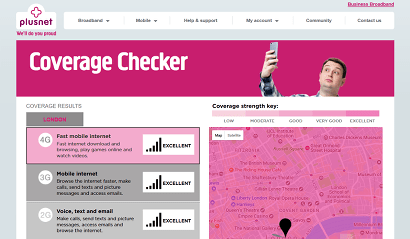 For a start they use EE's 4G network, which is the UK's largest, so you'll get coverage in more places than any other provider (use their coverage checker here). They were also one of the first networks to offer capped contracts. Their smart cap avoids you racking up unexpected bills by blocking services that would cost extra on top of your bill. 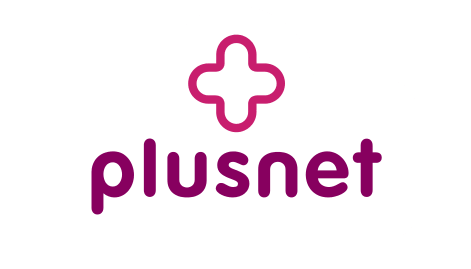 Plusnet also have UK-based customer service and you can use your minutes, texts and data within the EU for no extra cost. All on a low-cost plan that most other providers struggle to beat for price.